It's been just over 5 years since the catastrophic incident that caused people and pokemon to start their merge. Some claim it was started by a legendary pokemon called "Argax," while others claim it was just a random sickness or disease. Still more claim that it was humanities habit of treating pokemon with cruel indifference, or as tools, that caused pokemorphs to come about. But not. The real reason, no one knows. The true cause was, team rocket and a man,twisted with his vision of peace. Their base was busy working on whatever new machines and ideas they use for stealing pokemon, when one of their experiments went wrong, and a massive explosion came from the base, destroying every team rocket member in the base, a few innocents,and the brave souls who went in there to stop it all. As the project was top secret, no one really knows what it was, as everyone who knew about it was confined to the base, never allowed to leave,that is unless,one escaped. And one did.Many say,they saw a figure,riding away from the building,hours before it exploded.In the process, much debris and chemicals were shot into the air, where they circled the planet and fell back to the ground like radioactive rain. Between you and me, it wasn't radiation. But whatever was in that odd chemical soup, gave way to a vast new sickness. A strange version of the Pokerus infected humans. Thousands died all across the world. But, by sheer co-incidence as a trainer who was a great person, and a good person, accidentally swallowed some his his pokemons tears upon his death bed, he was too unconscious to notice. But his sister did. It was not but a week until he went from on his death bed, to completely fine, back to his normal self. Being a person who didn't want needless death, his sister spread the word. There was a cure! All around the world tens of thousands of people were saved from death, by pokemon tears no less. But the cure was not what was expected. It cured the sickness, but in the process the disease copied some of the DNA, the most basic of pokemon DNA, and preserved it in the people. It was only a year later, about 4 years ago, that it started happening. People gan to take on characteristics of pokemon. Oddly enough, not even the sources of their cure, but any random pokemon. One of the first, the cater-pie girl as many called her, was shown world wide. A person who had lost their own legs, become little more than a giant caterpie with a human chest, arms, and head, it sent waves of shock across the world. But by then the seeds had been sewn. It happened, escalating quickly, until tends of thousands were no longer human. It started a mindset of fear, jealousy, and hate in the humans. But it was then that a ghastly-morph robbed a bank by simply floating into the bank vault, and opening it from within, then making an escape, that it turned from fear and anger, to panic and hysteria and the deepest loathing. Pokemorphs became abominations to the common man, inferior beasts, who ceased being a former friend the second they became what they were. Filthy half breeds, the lot of them, not worth sharing the planet with. 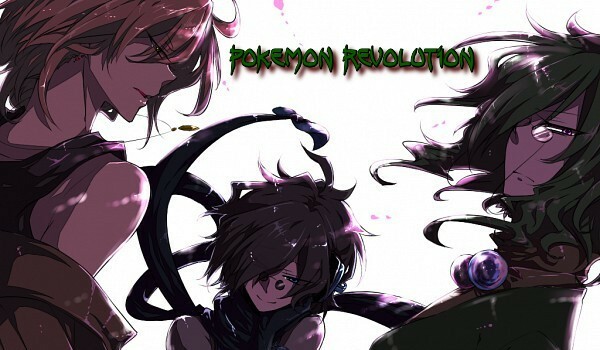 So much infighting destroyed the governments and regions of the pokemon world. Humans banned pokemorphs from their cities. Small nations popped up, and the 3 great nations. One, a place of peace and honest work where a man could spend his life doing honest work, like mowing his yard, attacking a morph, be a cashier, take missions to kill leaders of the other race, etc. Good work away from such inferior abominations. Another became similar for the morphs, the nation of Anova. Less violent, all this nation sought was it;s freedom and right to life and do anything anyone else could. Based entirely around morphs and anyone who had enough common sense to see they were not vile, soul-less abominations like some propaganda painted them. Apexia took over the neutral zone, allowing all races to come in. This is where grand tournaments, and the grand elite 4 of Apexia stay. argueably the strongest trainers in the world. But as it claims the worlds largest gold deposit as it's own, and sits on top of may valuable resources, nations, it was in the eyes of both other major nations. A very shaky, almost peace, though with minor military skirmishes, wraps the land. Will you help create peace? Will you help your fellow morphs get revenge on the humans? Will you cleans the human world of the unholy abominations using your pokemon? Choose your side, and shape the world as you desire. In the last 5 years, the virus that caused so much human pain, altered, and mysteriously died off. What happened was simple, humans adapted, and with medical help, started resisting. At the same time it mutated into another strain, which wasn't lethal and hard to detect, it stayed dormant in pokemon. However some pokemon began to change slightly. Close contact with a specific trainer began to alter the DNA. To add to the current problem, in the last 6 months pokemorphs who were never human, but pokemon, started appearing. No one knows why, but the professors think that the close contact these morphs had with humans who took good care of them caused it, along with this altered pokerus strain.